Ten days. Five meetings. Three countries. That's what Smarty and I have accomplished in recent weeks. 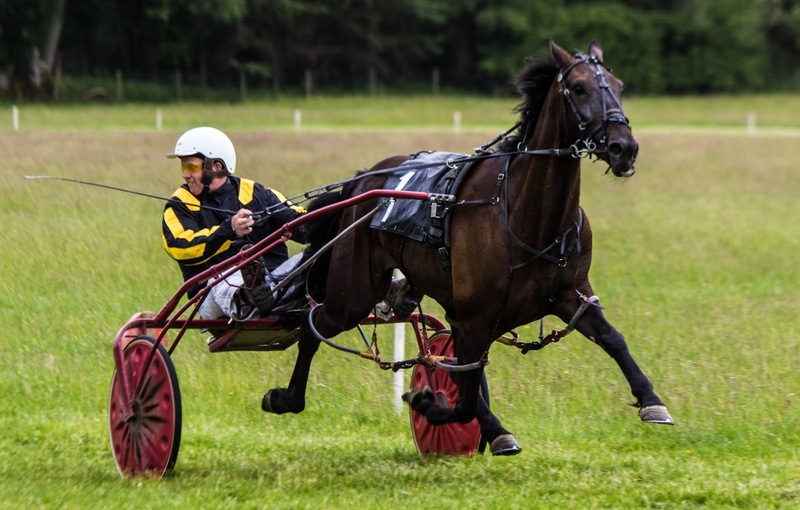 An attendance record at harness racing fixtures across the UK this season only matched, I believe, by driver Richard Haythornthwaite who currently heads the leaderboard at Corbiewood on wins. And is clearly as dedicated (read: mad) as us. After a busy (and successful) day of bookmaking at the Tradesmans Cup Meeting at Hawick, we headed straight to Corbiewood to meet the Gaffer and the Jockey who had brought our grey, Al Jolson, along for his first race of the season. As an aside, if you're ever looking for something different to do in the Scottish Borders, the Tradesmans at Hawick is an absolute MUST - bearing in mind that I have seen some absolute sights in my time, nothing compares to this. Smarty often tells me that I drag him along to weird stuff and he doesn't know how I ever came to know such things existed, but this one is 100% on him. Although, in his defence, he finds the whole thing as weird as I do. If you want to see in excess of 100 horses and riders galloping along a makeshift racecourse headed by a hatless man waving a flag while a commentator encourages you to shout 'hip hip hooray' at everyone, before said hatless man climbs up a ladder onto what looks like a council-operated toilet building to wave said flag at the crowd, again whilst everyone shouts 'hip hip hooray', then this is right up your street. People drink rum and milk (which tastes as disgusting as it sounds) and walk around with colourful rosettes pinned to their jackets (or dresses, which in itself is odd because this event takes place on top of a hill in the middle of nowhere). By the time the main event takes place nearly everybody is absolutely steaming drunk. I promise to go Facebook Live for it next year. Anyway, by comparison, Corbiewood is exceptionally tame even on a Friday night when hardly anybody has work the following day. Although I may try to convince the commentator David Douglas to encourage the crowd to cheer 'hip hip hooray' as the starter climbs into the back of the start car. Just for an added element of fun, obviously. The meeting played host to the second of three Star Makers legs, in which Al Jolson was running, as well as the first of two STAGBI Future Broodmares races which featured 8 of the 11 mares entered for the Greentree Standardbreds Mares Pacing Series which I am promoting. As I'm trying to keep my (very lovely) editor happy at Harnesslink, you can read the 'official' race report here. As I'm also trying to keep my (very lovely) readers happy, you can continue scrolling down to see my personal take on the meeting. Isn't that just the best of both worlds?! Well, it would be, if I could actually get them written up slightly closer to the meetings. By now you've all but forgotten the start of June and you're looking forward to the start of July. Please bear with me! Back to Al. 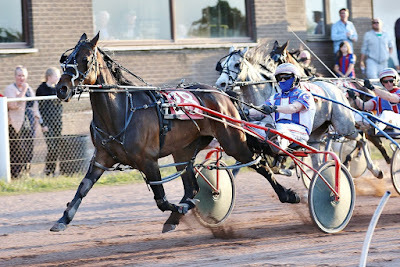 After requalifying at the opening meeting in May, we'd been working on his fitness with the hope of qualifying for the Star Makers final at Tir Prince on 14th July. Whilst it wasn't the end of the world if we didn't win the leg on this particular attempt, it certainly meant the pressure was on come the third and final leg in Scotland on 21st June. We wanted to get him to the final. Al's owner, Dave, was also in attendance, and I didn't want him to be disappointed seeing as this was Al's first race since 2014. I'm VERY pleased to say that none of us were disappointed. Drawn 3 on the gate, he didn't have the best position and I was unsure what plan of action the Jockey would take. Those of you who know him will be laughing here as his standard modus operandi is lead out, slow the pace, try to sprint home. I still remember how affronted he was the night my mare, Shes Some Deal, was drawn wide on the gate in a Grade 1 & 2 race with Master Plan, Greentree Shorty & Evenwood Coolsting (the latter two being subsequent SHRC Horse of the Year winners). I had to drum it in to him that he was NOT to push her out of the gate and get her involved in a ridiculous speed duel, but to take back and try to come with some sort of finish. Master Plan went on to win in 2.02.15 (bearing in mind Star was a bog standard 2.07 mare around Corbiewood, although on this occasion clocked her track PB of 2.06), but the man still came off the track spitting feathers at me about how he could have led out if I'd let him. I'll let you watch the video (courtesy of Elizabeth O'Neil) and see what you think. What's not shown in the video is me shouting in Dave's face repeatedly 'ISN'T THIS FUN DAVE? ISN'T THIS FUN?! ', because I promised him if he let me train his horse that I would make it fun for him as an owner. I'm not sure whether the look on his face in that moment suggested he was having fun, or whether he was actually quite alarmed by me, but frankly Dave, you have to take the rough with the smooth when it comes to me and I'm pretty rough. 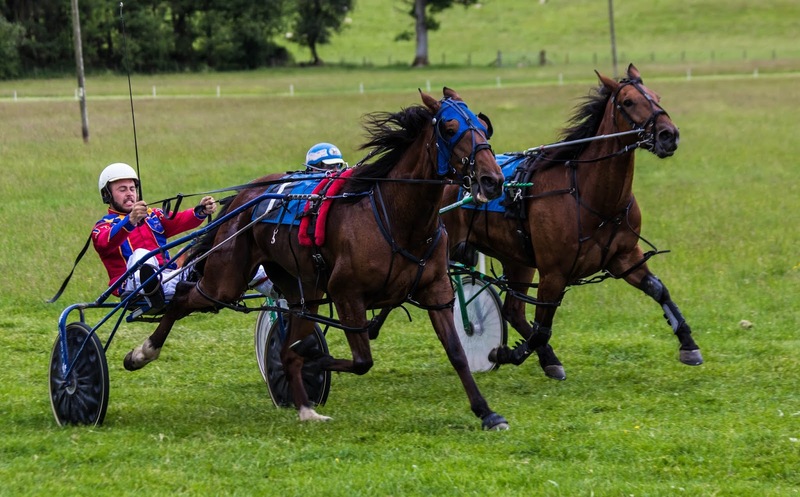 As I was down at the lorry (inconveniently parked in the car park) I missed the other race on the card which I really wanted to see (which is poor form considering I'm the current President): the STAGBI Future Broodmares race. I bang on and on and on and on about mares getting the opportunity to race in female-only company and for mare owners up and down the UK, these races have become ones they really want to win. I don't know whether the invitation to the BHRC & STAGBI awards event to be presented with their trophy helps, or the fact it's really good prize money (in comparison to other races), but these races are very well supported and have definitely grown in stature since they began (so hats off to the directors who came up with the initial idea!). Well done to Alex and Glynis Hay on winning the first of the two races in Scotland with their homebred mare, Dynamic Ace (Windsong Dynamite-Dillys Red Ace-House Of Cards). 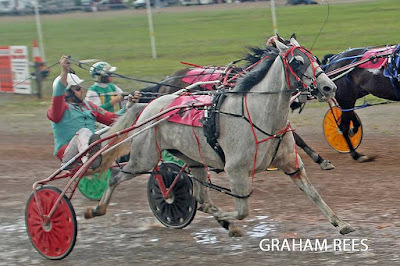 She joins Mattriarch (Young Commander-Lyons Attitude-Hasty Hall) on the 2018 roll of honour, with the Elwyn Lloyd Jones-owned grey mare winning the STAGBI Future Broodmares race at Amman Valley the week before in the hands of trainer/driver Dylan Lloyd Jones. I want you to be impressed with me now. Guess what I did?! I wrote a Harnesslink report about this one too which you can read here. Talk about saving myself time when I'm trying to catch up with the blog. It was a rather long day for Smarty and I, with an early start to get horses jogged at the stables before we headed south. We also had to leave a lot earlier than usual as we had an extra passenger for the journey which was going to slow us down somewhat. No, I don't mean Bernard McGovern, who also happened to be a passenger (although there were times when I thought about putting him in the trailer). We were taking one of our mares to a stallion standing in north Wales. We'd already taken Rita (Vain In Spain) and her Hasty Hall colt foal, Denver, back down to Hasty Hall in north Wales a few weeks earlier, so we knew the kind of journey we had in store, although at least with only a mare on board it's not such a stress. Except when said mare hasn't left the field for nearly 7 years, has never travelled in a single trailer and has never been further south of home than Appleby before. I won't bore you with the details of the mare, the pairing and the plan of action in this particular post as this is a racing synopsis. My adventures breeding my first foal outright will be covered in separate posts in a warts-and-all account of the highs and lows of trying to breed a racehorse. Watch this space. 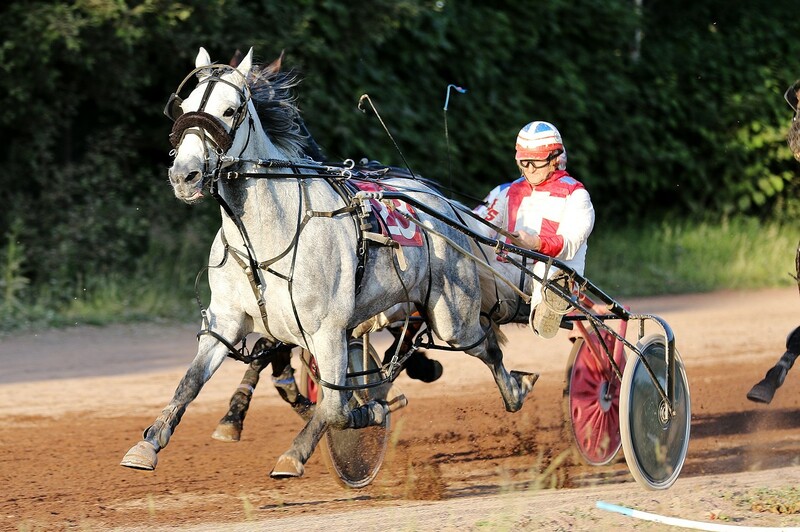 Around 7 hours later we rolled into Tir Prince Raceway for a night of stakes race action, mixed with a handful of other top quality races, all of which I've covered in my article (above). For me, the best race of the night was the Crock of Gold Heat. All the talk was about whether Rhyds Rock Star would be able to step up out of the 4YO category which he had already dominated in the early part of the season to compete against Miraculous (who did the same last year) and Evenwood Sonofagun. It was exciting. It was almost like the final last year when nobody could agree on who they thought the winner was going to be. 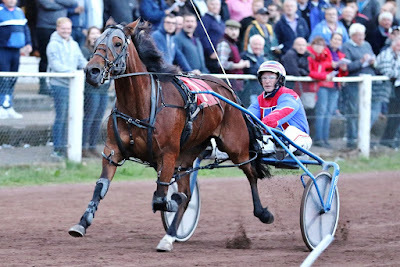 I'll be honest, I went for Rock Star drawn 1, I thought he had landed in a prime position to lead out and go the pace he'd gone earlier in the season at Tir Prince when he broke the track record (previously jointly held by Forafewdollarsmore, Miraculous & Evenwood Sonofagun). After half a mile it looked set to go the way I'd expected, but as they turned into the back straight something totally unexpected happened. Rockin Mambo, a horse by his connections' own admission was only really there to 'make up numbers', went by Rock Star like he was walking. And he kept going. Right to the line, in a track-record equalling time. I was so overwhelmed with joy for his owner, Jenny Jones, that I ran on to the track to hug her. I thought it was a really big moment for her and husband Marc, who trains and drives the horse, and I couldn't contain my delight. Coalford Tetrick also ran a monster race to finish second, and the horse which cost £500 as a yearling at public auction continues to prove that horses don't know how much they're worth. It was a long drive home to Scotland, especially as when I took over driving, Smarty fell asleep on the back seat and Bernard (the other bookie in the car) fell asleep in the passenger seat. We only have one CD in the car, so I now know all of the words to every song from the Greatest Showman soundtrack. A skill which I have no doubt will come in useful. One day. We got back to the stables at 4am, unhitched the trailer, fed the horses their breakfast and headed home to finally get some proper sleep. I don't want to be doing that too many times this summer (although I have a funny feeling that won't be the last time!). This was the weekend of what I have now dubbed the 'Triple C Tour': Corbiewood, Cumberland Show (Carlisle) and Cilmery. Racing kicked off on the Friday night at Corbiewood with the feature races being the SHRC 3YO Derby divisions for fillies and colts & geldings, and the opening leg of the Greentree Standardbreds Mares Pacing Series. You can read the official report on Harnesslink here. It's just so great when I can do that! 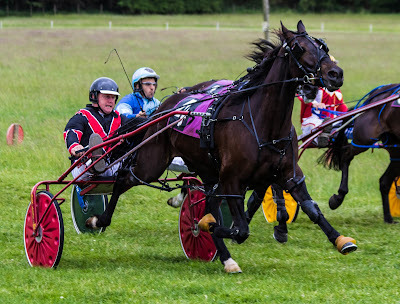 Because of the way things have been planned for the horses in our stable and their summer campaigns, we didn't have anything on the card but I was still able to enjoy the racing nonetheless. I'll keep it brief as there are still another two meetings to cover; I was super impressed with Saunders Hoochie making it back to back wins at the track after 30 luckless starts for her previous trainer. Cathy Shields really seems to be getting a lot from this mare and the trainer described as almost unbeatable at the back end of a season is showing that she's pretty tough to beat at the start of the season now as well! 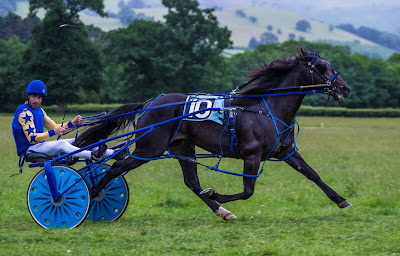 Also a massive well done to Claire and Shane Fletcher on winning both divisions of the Derby with the Teresa Haythornthwaite-trained and James Haythornthwaite-driven Casimir Royalflush (fillies) and Crack A Smile (colts & geldings). They have supported Corbiewood for a number of years and it is good to see them enjoying success, even if some of the die hard Scots still view them as English raiders coming north to plunder the spoils!! This was my first time at this new fixture, having missed the first ever staging last summer due to other commitments. I had volunteered to help with whatever the promoter needed help with (I was hoping for the photography gig but that was already taken unfortunately) so I was roped in to take declarations and entry fees and hand out the numbercloths, which I have never done before but as with most things, I always ask myself 'how hard can it be?'. Not hard, is the answer. A little manic at times when there's a queue and you're trying to figure out what the total entry fee is for someone while someone else begins helping themselves to numbercloths and your phone is going with people wanting to let you know they're on their way but they're stuck in traffic, but we got there. Eventually. After that was over, I had intended to interview winning connections after each race (to give the general public something else to enjoy between races) however due to the racing starting late and an incident in the first race which held things up even more, I had to make the decision to abandon that idea so that racing could progress as quickly as possible. I see potential in the venue going forward, however there are a few areas which need to be addressed for the purposes of ensuring quality racing and a safe racing environment for participants. I've been in talks with the promoter since the event and hopefully next year I can work a bit more closely with them to improve on a fairly solid foundation which has already been laid in the first 2 years. Provided the show committee has us back, of course. Well done to all winners on the day, and to anyone else who was pleased that their horses ran with merit. One horse which I believe will win imminently based on his last two starts (finishing second both times after having been stuck in a box) is Rhyds Cocoa. I know he has a devoted support squad behind him too so I look forward to being there when they're celebrating his first win for the stable! From Carlisle we made the long journey south to stay with my parents for a brief overnight visit and a day of racing at the track which I used to help promote when I lived in Wales: Cilmery. The fixture was originally staged on a Wednesday evening which I always felt worked very well in the local area in terms of drawing in a local crowd however this was the second year that it had moved to a weekend slot and this may have had a damaging effect on the turnover at the gate. Nonetheless, after some of the dramas of the previous two days of racing I was very much looking forward to a day of healthy competition and good fun and everybody who was involved did not let me down. The first race featured a thrilling three-way finish between Blytheviewpeterpan (Jaimie Davies), Forest Drifter (Lee Wakefield - a 16 year old driver with a very impressive win and place ratio per number of drives - I'd be interested to see his UDRS - more on that to follow) and the ultimate winner, Anniejoan (John Wright Jnr). It was good to see the mare, who previously raced in Scotland, finishing strong to win in the closing stages of the race, giving C Class driver John another win to propel him ever closer to B Class status. Full Throttle (Carl Morgan) was an all-the-way winner in the second race, aided somewhat by some backfield interference midway through the race which affected his main challengers however the horse had already flown the nest somewhat already with his usual early pace. 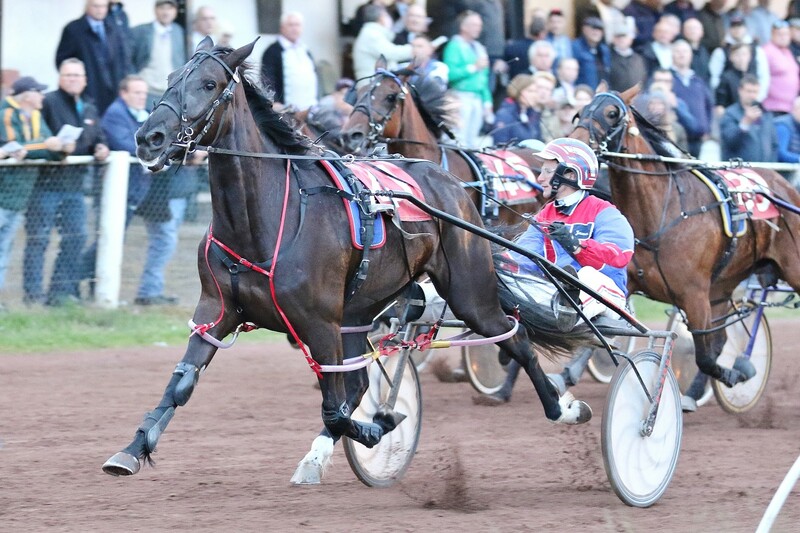 Carl appeared surprised to see his leading margin when looking back over his shoulder in the home straight and eventually ran out a 14L winner in the second of the five heats. The third heat reverted back to a similar style of the first with another close three-way battle in the closing stages, this time between Caenwood Jack (Julian Price), Lakeside Art (Jaimie Davies) and the winner Ithon Orbit who has already qualified for the Star Makers grand final at Tir Prince on 14th July. I was very impressed with this winner's ability to stay on a track which I know is stamina-sapping, particularly as this was the first time I'd seen the horse running in the flesh. It's also great for owner/trainer/driver Matthew Lewis to enjoy success considering he's doing the entire job all by himself! A horse I like, Gift Of Life, was an easy enough winner of the fourth heat for Angie Dyer, with a real battle on for the minor placings between John Barley (David Bevan) and Wellfield Earl (Jed Strickland) with the former coming out on top by a nose. I didn't mind as I'd backed Earl to finish third behind the pair - he is one of the country's most reliable horses and I think the absolute world of him. 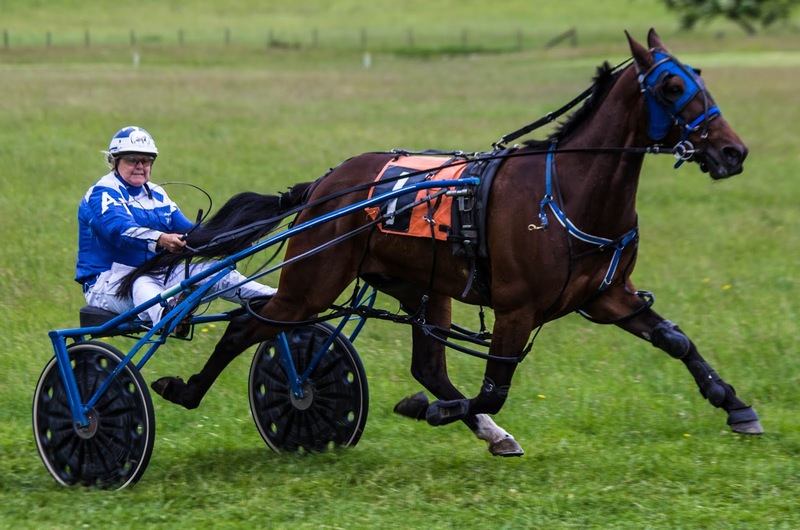 I'm glad to see owner and trainer Roy Sheedy keeping him going and also giving young drivers a chance to drive him as well to gain experience. As expected in the highest handicap heat, front marker Lakeside Paddy set a quick enough pace so as not to allow the back markers in the race to make too big an impact, however FFA quality Coalford Tetrick did enough to secure his place in the final when finishing second. With the final being open preferred, he would take draw 10 on the gate which many thought would give him a simple victory. They were right. Once he flew the nest in the final, nobody was going to catch him. A blanket finish for the placings showed the remainder of the field to be quite evenly matched, but on this day Tetrick was far too good for them. Heat winners Gift Of Life, Ithon Orbit and Full Throttle took the minor honours in that order. Full results of the remaining races can be found on the BHRC website (along with Corbiewood and Cumberland Show). I'm gonna wrap this one up now because a) it's weeks late and b) it's really long. Hopefully you'll have picked up something from it though to aid you in your betting or tipping selections come the next big meeting, like....Aberystwyth?! My parting thought for the day is this: remember, this is a sport. Be good sports.